You might recognize this tiny house; it’s the studio of Sandy Foster and has appeared on many places online since it was first featured in the New York Times. It’s an old hunting cabin that she renovated herself. It measures 9-feet by 14-feet and cost her just $3,000. Sandy is writing a book about her studio and is looking for others who have built similar small cottages, preferably made from salvaged materials and decorated in a romantic style (shabby chic, French, farmhouse). 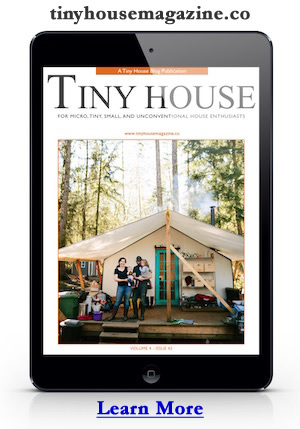 If you’d like to share your tiny house story with Sandy, you can contact Sandy through her blog. This entry was posted in Announcement and tagged Catskills, new york times, Sandy Foster. i dream of a tiny house for myself. I love you guys for all the pictures and ideas what a joy you are too us hermits. Thank you so much.